Rita Moreno, Justina Machado, and Gloria Calderón Kellett illuminate Netflix’s most delightful show. That might sound like a surprising warning given the episode’s setting…at a funeral. But in true One Day at a Time fashion, the season three premiere covers the death of a tía, a gay coming out story, military mental health, and a decades-long family feud over a missing mantilla (an heirloom bridal shawl common in Latino families). Yet somehow—as Moreno promises—by the end, viewers will be doubled over in laughter. A remake of the ‘70s-era show created by Norman Lear, Justina Machadostars as Penelope, an army veteran and single mom to teenagers Elena (Isabella Gomez) and Alex (Marcel Ruiz). Moreno portrays the family’s over-the-top, old school abuelita, armed with hilarious one-liners and tear-jerking stories about escaping communist Cuba. It’s exactly that balance between injecting humor and covering tough topics that’s earned the show critical acclaim and a cult following; the second season boasts a 100-percent approval rating on the user-aggregated review site Rotten Tomatoes. I’m 87 years old, and I can’t make babies, but I can do a lot more! Amid an exhausting news cycle and a never-ending list of bingeable, must-watch political dramas and sci-fi fantasies, One Day at a Time is the delightful reprieve we could all use a dose of right now. At our photoshoot in New York, it’s clear that a large part of ODAAT’s magic is found in the cast’s pure chemistry. As soon as Moreno arrives, she and Machado embrace like sisters. Co-showrunner Gloria Calderón Kellett—whose own Cuban family loosely serves as the inspiration behind the series—quickly joins the group hug. When the cameras start flashing to the tune of a generic pop song, all three women smile and bop politely. But after a few minutes, Kellett suggests someone play salsa. And at the first notes of Celia Cruz’s crooning voice, the trio’s shoulders simultaneously fall and their smiles widen. As if on cue, they’re dancing in sync toward the camera, shouting “Eso!” and “Así!” before they collapse into one another with laughter. After learning the project was a contemporary take on his original sitcom—this time featuring the Cuban Alvarez family—Moreno was all for it. Though she had one condition before agreeing to step into the shoes of her character, Lydia. 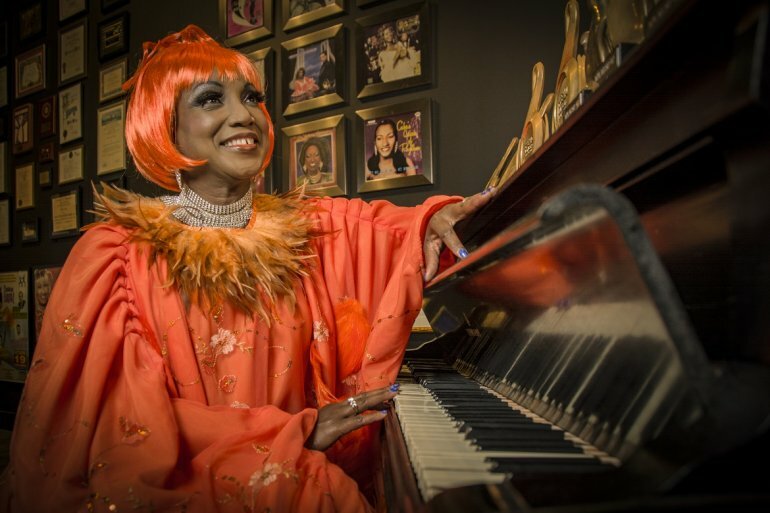 Moreno has since nicknamed Lydia “Teatro, Inc.” because of her penchant for dramatic entrances and reenactments of steamy memories with her late husband. And while Moreno is the twinkle in the eye of every episode, Gomez and Ruiz are the heart, expertly depicting teenage life in a way that will make viewers of all ages feel nostalgic—with a little help from their sitcom-standard nerdy neighbor, Schneider, played by Todd Grinnell. But it’s Puerto Rican Chicago native Machado who is the soul of One Day at a Time. The actress (recognizable from TV shows like Six Feet Under, Jane the Virgin, and Queen of the South) delivers fast-talking wit and goosebump-raising monologues that allow every viewer to see a part of themselves in Penelope, whether it’s because of the Latina stereotypes she faces, her battles with mental health post-army, or her struggles navigating parenthood in today’s “woke” society. Machado is nodding to perhaps the most important ingredient in One Day at a Time: The writers’ room. Kellett is an alum of series like How I Met Your Mother and Devious Maids, and she co-runs the show with Mike Royce, formerly an executive producer for Everybody Loves Raymond. She says they’re both proud of creating a diverse writers’ room, one more than halfway staffed with Latinos, plus members of the LGBTQ community. I think anyone who says it’s hard to have diversity on TV isn’t trying very hard. GLORIA CALDERÓN KELLETT. Ruben Chamorro. To keep the show sincere, the writers offer honest responses to questions like: How would they react if they were a veteran having a conversation with their kids about guns? Kellett says someone will inevitably crack a joke to lighten the mood—and it’s those moments that end up in the script, which give One Day at a Time its levity. She hopes that diversity of perspectives both on- and off-screen sends a message to the entertainment industry. For Moreno, it’s surprising that at 87 she’s found herself starring in a beloved television show and preparing for a true full-circle moment: Returning to West Side Story for a remake of the Broadway adaptation that won her the Best Supporting Actress Academy Award 57 years ago. This is a universal story about being human. Still, almost six decades (!) after Moreno became the first Latina to win an Oscar, only one other actress of Latin descent has taken home the trophy: Mercedes Ruehl in 1991 for The Fischer King. In 2016, Latinos only held 5.8 percent of speaking roles in TV and movies, despite making up 17.8 percent of the U.S. population. And in 2019, there are only a handful of English-language TV shows specifically depicting the Latino experience—including the CW’s soon-to-end Jane the Virgin (which Machado is also in) and Vida. Hollywood clearly has a (very) long way to go. But the success of One Day at a Time is kicking down some of those long-locked doors: In 2017, Kellett inked a two-year deal to work on projects with Sony TV, and this month, Netflix announced an upcoming series, Gentefied, a bilingual dramedy produced by America Ferrera (adding to Netflix’s growing list of shows with Spanish). Machado says she’s hopeful for a more inclusive future. 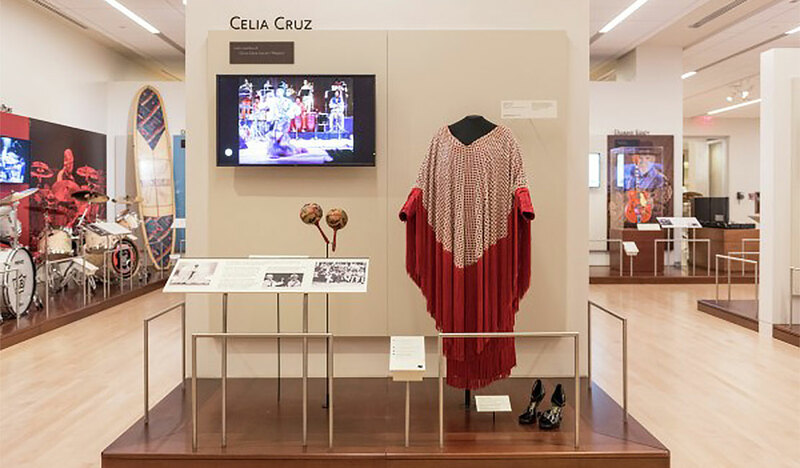 Phoenix’s Musical Instrument Museum (MIM) is debuting a new exhibit this year and it comes all the way from Cuba.